in 1961 newton minnow declared television a "vast wasteland." america was just on the other side of the golden age of television and cable tv had not quite hit our public consciousness. 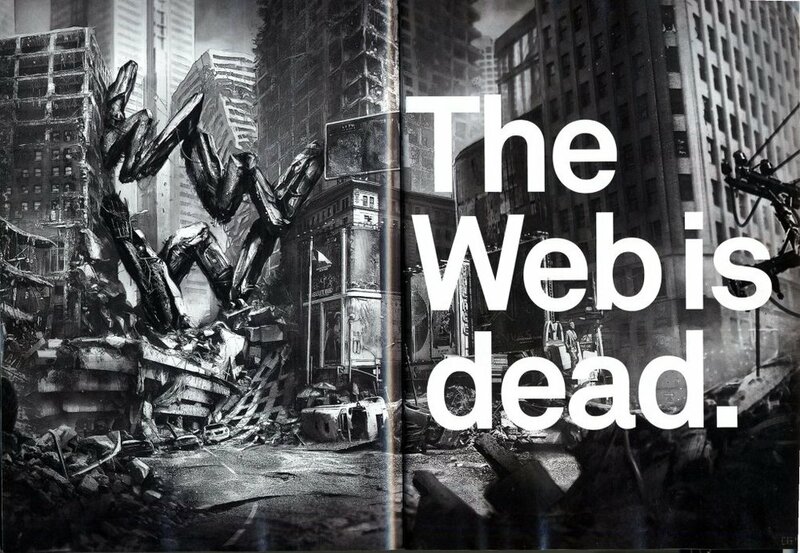 so when i spied wired magazine's latest issue declare "the web is dead," i cynically paused, considered it among the other grandiose comments predicting the demise of one media outlet or another, and moved on. 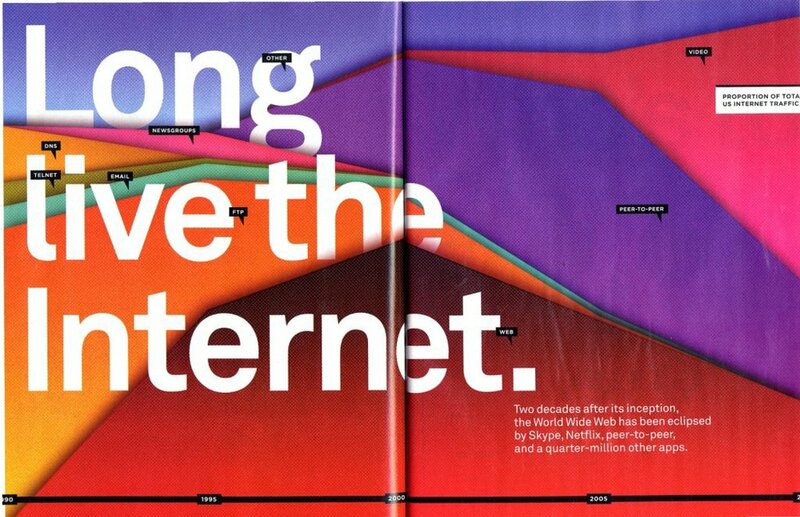 yet, despite an argument that is nestled deep within incendiary statements, wired magazine is onto something. they make an important distinction between the content of what we know as the internet and the distribution of it on the web. this relationship goes back to a central argument surrounding the discourse of the internet- free and open web browser based systems and their closed paid for counterparts- apps. all this is interesting and true. but it got me thinking about how it's part of a larger media cycle in general. wired doesn't talk specifically about television or radio or even film, but the pattern is nearly identical. tv and radio both began as mediums that had the potential to develop as open two way user based systems. ultimately commercialization and perhaps america's desire to passively consume and be entertained rather than create content won out. the internet has continued to battle with this tension between user driven content and commerce. for now it's both. but apple and other app driven agendas are very much running counter to this. and our gadget fixated culture is squeezing out the internet by sidestepping it, because apps access the content of the internet without using the web's protocols. i like my iphone and my kindle and my netflix enabled blue ray player. but as wired points out, these devices while convenient, are sending the internet hurtling towards a closed pay as you play system. and i feel a bit ambivalent about it because while right now we're still in the transsionary stage, eventually these devices and their offspring will contribute to the demise of the free web and thus, it's death. as a consumer i'm part of the problem. and finally, to confound the entire paradigm, an illustration of the fallacy even of apps- in order to read about how the web had died i tried to download WIRED magazine on my kindle, only to find it is is not available. it is available on the web, but i couldn't be bothered to sit at my desk and read it. so i gave in and bought it at the supermarket while waiting in line. mundane, and analog. perhaps we should hold judgement about the death of anything for a while yet.